Virginia fanpetals belongs to the Mallow (Malvaceae) family, is a species native to the USA and Canada. It is a non-food, cellulosic crop, with spectacular growth and strongly developed root system, has many different and multipurpose advantages. 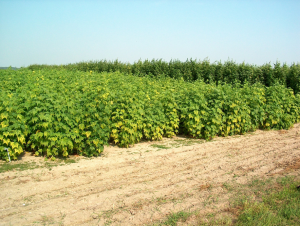 Thanks of its bio-chemical composition (similar to alfalfa), Sida, in the green stage, can be used as a highly nutritious feed, with a protein content up to 30% During the flowering time, Sida allows to be produced up to 120 kg/ha of late yield honey. This unique species, when harvested in the dry stage, has applications in the bioenergy, insulation and cellulose-paper industries. And, in the green stage to the following industries: pharmaceutical industry, fodder industry, honey industry, bio-gas industry. As a particularly profitable energy species, future feedstock, is already predestined to use it in bio-fuel industry. Sida plantations have a useful lifespan for at least 15-20 years. 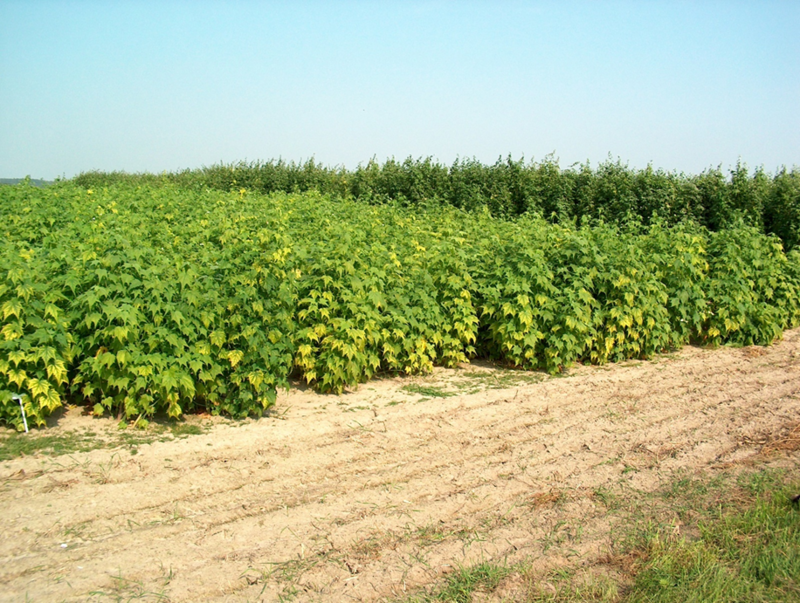 Sida grows well under many site conditions and does not have any special soil requirements. In fact, Sida grows well in poor conditions too, where there are mostly sandy soils, however, this restricts yields, which can be expected. Cold and dry conditions during the spring could restrict germination of seeds and development of new stems. Sida can survive without a problem during the temporary deficit of water in Sommer, and harsh cold (up to -35 C) in winter. The low moisture content of Sida biomass on the fields (11-20%) makes it possible to optimize the baling operation and therefore, allows lower transportation costs. The most advantageous harvest time can take place from January through April; however, before new stems to start to emerge. Thus, it makes possible, without expensive biomass drying and storage, to proceed to granulation or combustion of biomass delivered directly from the field. Sida would meet the need for next-generation biofuels to be environmentally sustainable, easily adopted by producers and take advantage of existing agricultural infrastructure. Advice on harvesting methods to improve bale for heat/electricity and bioethanol processing requirements. Cost reductions from seed planting to energy uses. Environmental impacts and life cycle assessments. Biodiversity evaluations.